This was quite an ambitious trip as we aimed to see three countries in three weeks. 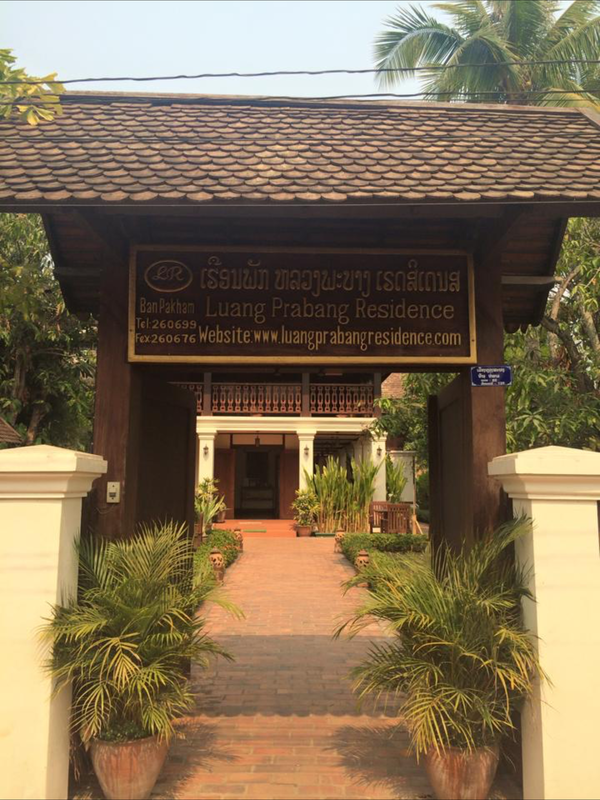 It all started in Luang Prabang. This was our only stop in Laos and just loved it! 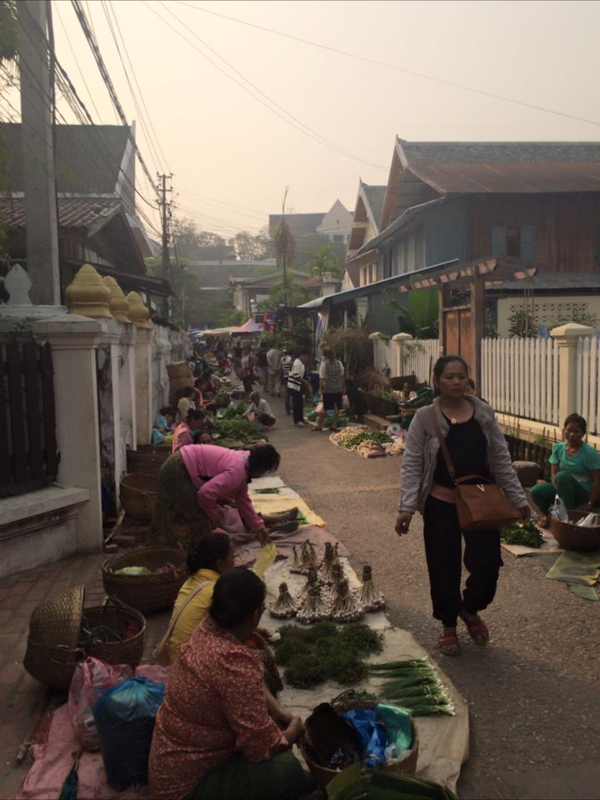 We stayed in a cute hotel called Luang Prabang Residence which had a fruit and vegetable market outside early in the morning. Was incredibly peaceful at the hotel and could sit in the garden for breakfast. Nice spacious rooms with a wood theme. The staff were friendly and helpful definitely recommend staying here as so central and next to the busy night market where things come to life! 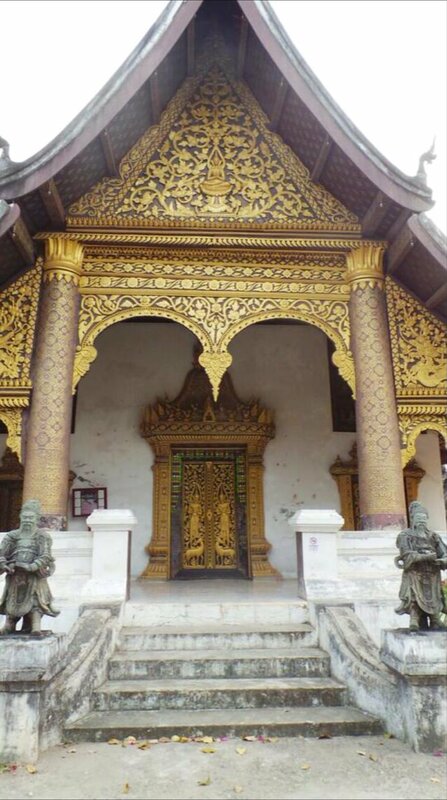 Really enjoyed wandering around Luang Prabang, Wat Ho Pha Bang temple was close by our hotel and was just stunning. On the opposite side of the road you can walk up over 300 steps to get to the Phu Si to get a great view and sunset from the top. I think my favourite thing about Luang Prabang is you can just wander around and come across wats and interesting things all the time without even having to consult a guide book. 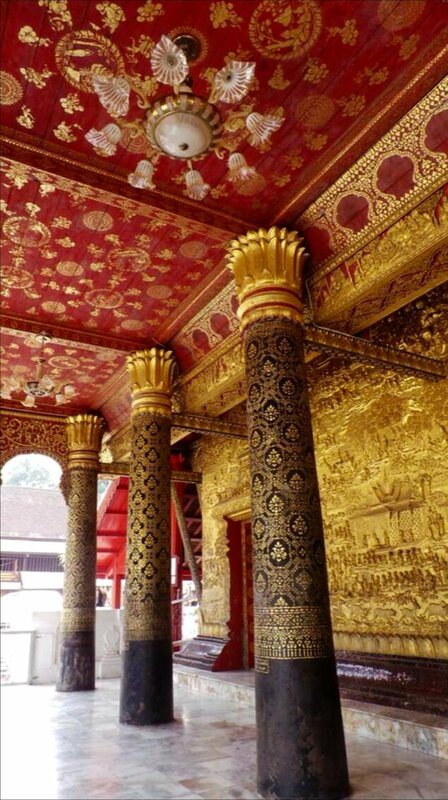 Wat Mai Suwannaphumaham is worth a look because it is so beautiful. It has really stunning doors covered in gold coloured workmanship. The Royal Palace is also worth a wander although wasn't as stunning as Wat Mai Suwannaphumaham, Wat Xieng Thong or Wat Ho Pha Bang. Went on a day trip to Pak Ou Caves which was OK but my favourite thing was going for a ride on the elephants and feeding them. Also took an afternoon to go and see Kuang Si Falls and Tat Sae Waterfalls where the water is a gorgeous turquoise colour. You don't need to prebook any trips as if you walk to the end of the night market road there are lots of travel shops and trips with cycling/trekking/extreme sports options as well as the usual touristic choices. You could book something the day before you go. Found a cute bar across a bamboo footbridge called Dyen Sabai Restaurant and Bar which was just so cool! The area was full of butterflies and has a bamboo garden with modern menu choices and fabulous cocktails! 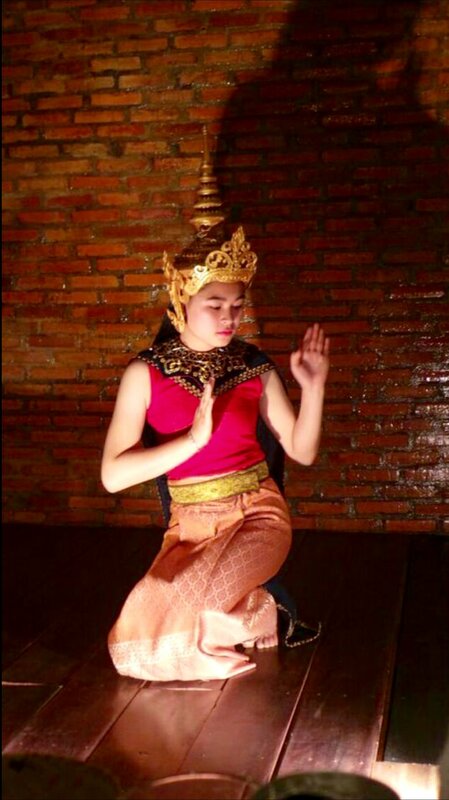 Would also recommend going to Sonphao to see traditional Laos dancing and dinner. We just stumbled across this place whilst wandering and bought tickets to see the dancing later that night. The set menu isn't bad either as you get a tasting menu so you can try out traditional Laos food whilst watching traditional dancing. Departing Luang Prabang airport we headed to Hanoi, Vietnam. 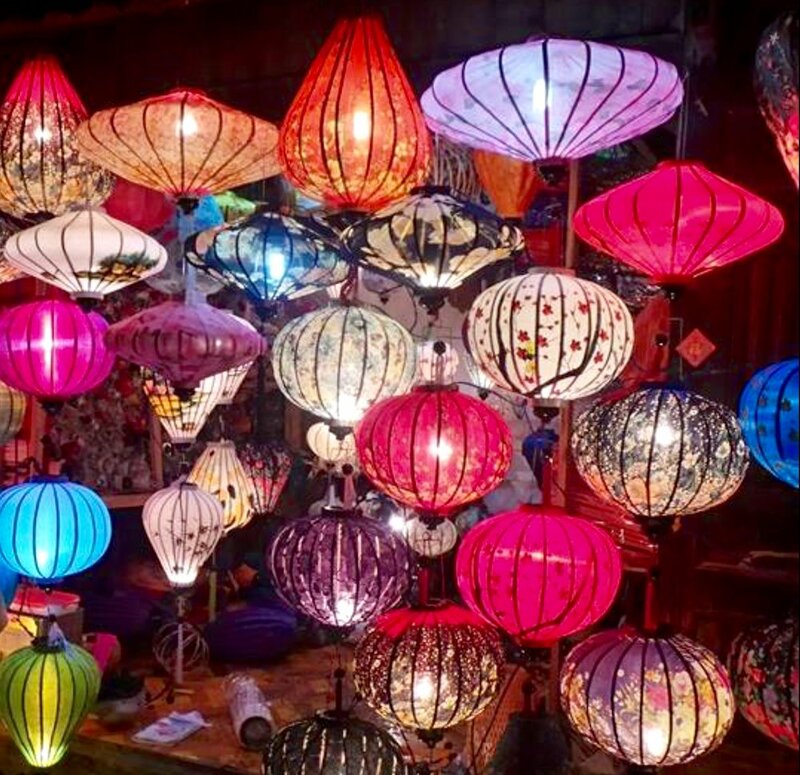 Vietnam is an amazing country to visit, you could spend a whole month there as there are so many different diverse places to visit. Hanoi is a great base for heading to Halong Bay. However, it is quite interesting on its own. We stayed at the Golden Silk Boutique in Hang Gai which is the old town area known for textiles. We had some fun in Hanoi at night as all the locals sit outside bars on plastic chairs and it gets busy and usually there is some kind of street art/dancing going on. Found an excellent restaurant called Essence which had really delicious Vietnamese food and the waiting staff will explain the menu in detail for you if you're not sure what to try! There are plenty of tourist places to go such as wandering around the Hoan Kiem lake/Ngoc Son temple/Huc Bridge/Hoa Lo prison/Ho Chi Minh Mausoleum (can watch the parading army personnel)/One Pillar Pagoda. From Hanoi we got a taxi to Halong Bay to board our cruise. We booked on Signature Cruises which was just wonderful and totally recommend them. It was really modern and new, food was great and our room was spacious and the whole ship had a white theme. Halong Bay is really quite wonderful even though the weather was overcast whilst we were there it didn't matter. Memorable points on the cruise was the floating fishing village where people have made a community on water rather than land and the Thien Cung grotto. We returned to Hanoi for one night before flying out to Danang and driving to Hoi An. 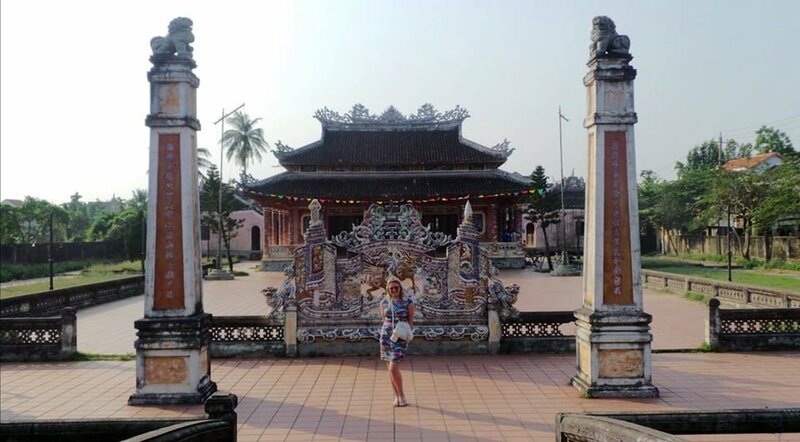 Now Hoi An was my favourite. It is such a lovely historical place perfect for wandering. 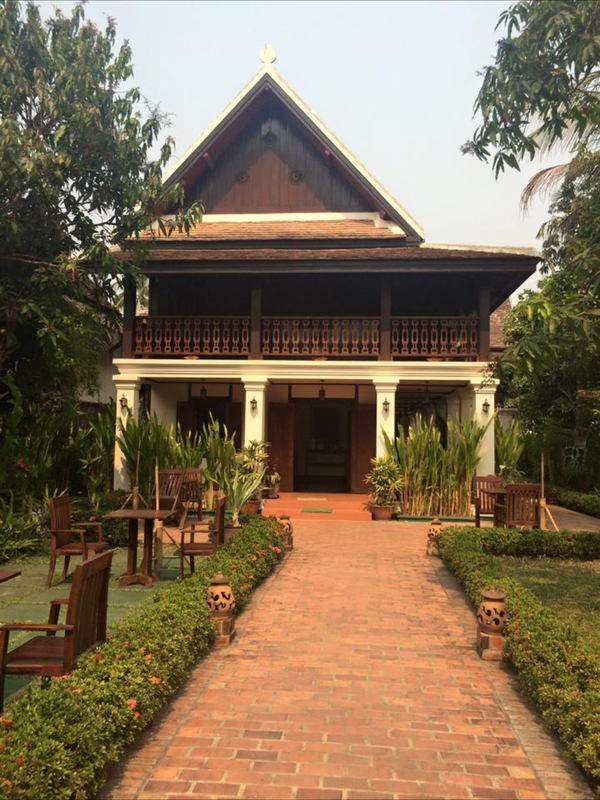 We stayed in the Old Town area in a wonderful hotel called Royal Hoi An M Gallery Collection. By the time we arrived at the hotel we were tired travelers and were so grateful for a soft sinkable bed and a fluffy bathrobe and slippers. Nice outdoors pool too. From the hotel we could walk into the Old Town area where the night market is based. The Old Town is pretty and has cute lighting at night. We decided to look at doing a different type of tour and came across a cooking class followed by a bike tour. The cooking class was called "Cooking with Grandma" and is run by the grand-daughter. This was one of the highlights of my whole holiday because it was such fun! We first went to the local market to see all the different kinds of fruits and vegetables available in Vietnam and to see how the local people buy their produce. From that we boarded a boat for 35minutes to get to the family home on a small island near Hoi An and outside into the garden which had been transformed into a cooking area. 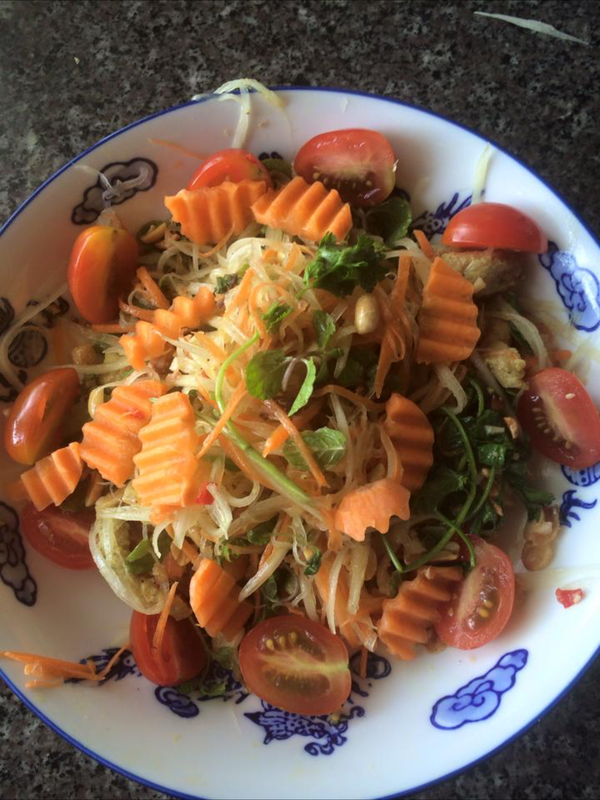 I absolutely loved learning how to make the green papaya salad it was just delicious! So we commenced our bike tour on the little island with various interesting stops at local houses to see how people made rattan rugs/wicker boats etc. The best stop was cycling past a primary school and all the kids coming out to see us from the playground. All the kids were so excited to see cameras and wanted to be in our photographs. From Danang we flew to Ho Chi Minh. By the time we arrived here we were exhausted as our trip had been non stop and all we did on arrival was crash and burn! To be honest Ho Chi Minh did not capture my imagination at all. The only thing I found interesting was that everybody got around on scooters/motorbikes so we decided to do a Saigon by Night tour with XO Tours which is a female only motorbike tour company. The tour was just fantastic, you are on the road with what seems like a million other motorbikes down the Saigon freeway. Our guides were great fun and we got some great pictures and even paid a bit extra for a video to be taken of our tour. They stop at a local street restaurant to try local dishes as well. 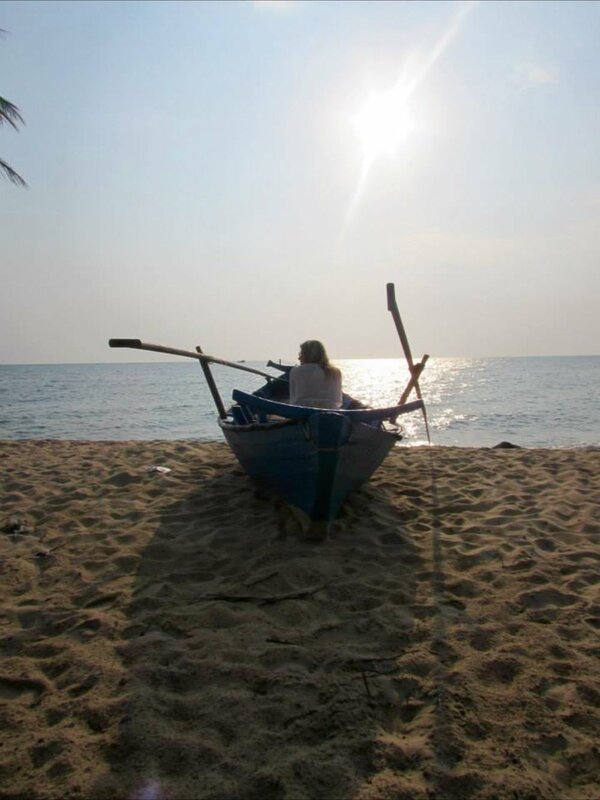 From Ho Chi Minh we flew to Phu Quoc for a bit of R&R after our heavy itinerary we needed a rest! 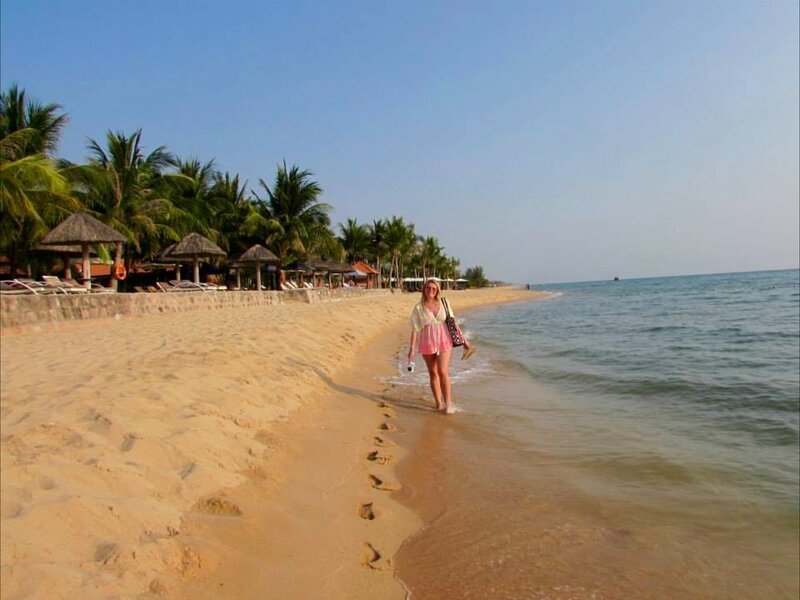 We were researching beach resorts in Vietnam and came across Phu Quoc island which sounded delightful so thought we would try it out. 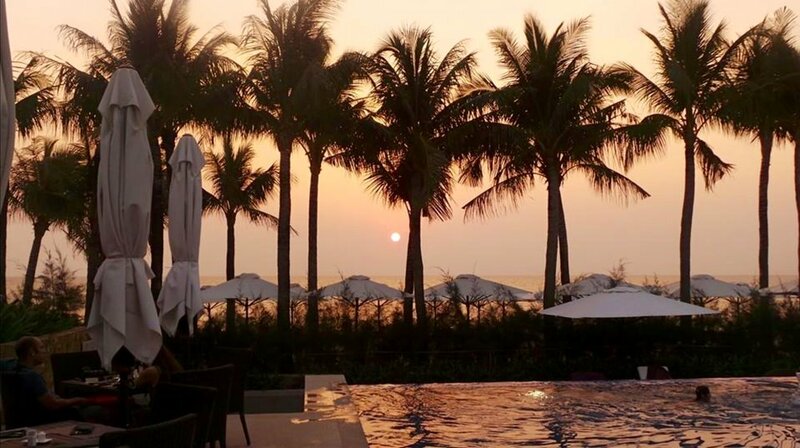 Stayed at the Salinda Phu Quoc Resort and Spa which I cannot recommend enough, just wonderful! The hotel has a beautiful strip of the beach to relax on and also has a great swimming pool and plenty of bars to choose from. The breakfast was very good there and the rooms large and spacious, the staff went the extra mile for us and had a really awesome stay, thanks a lot! Phu Quoc itself is fairly quiet. There are restaurants and bars but it is underdeveloped and no crazy party scene exists which is a good thing right? 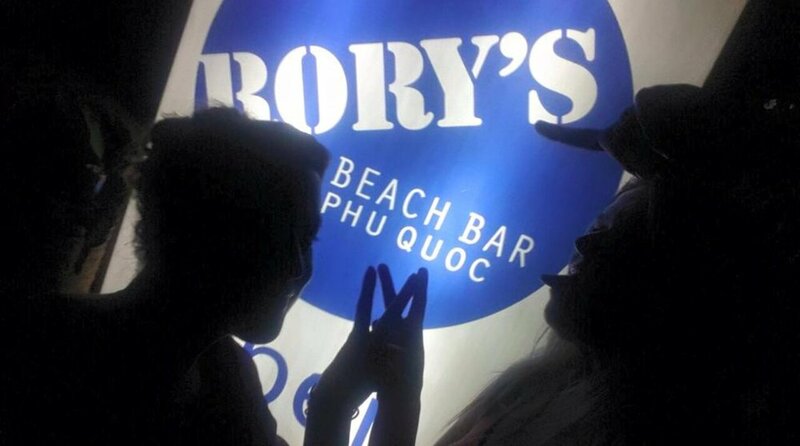 We made friends down Rory's Beach Bar and Chez Carole! From Phu Quoc we flew to Siem Reap to start our Cambodia adventure. 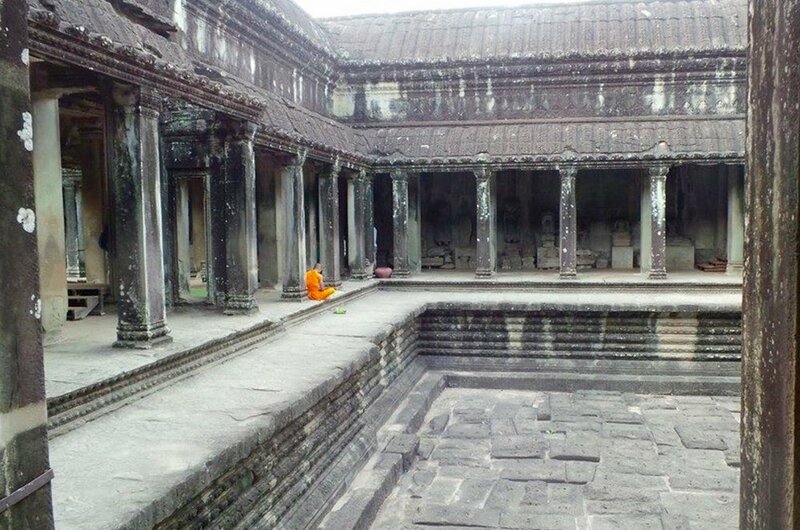 I was beyond excited to go to the Angkor Wat and had been wanting to go and see it for a while. We stayed at the Shinta Mani Resort for one night in the centre of Siem Reap and then moved to Navatu Dreams Resort and Spa. Navatu was further out but you got a driver included in the room rate who would take you into town and back. Both hotels were good but Navatu was our favourite, we had a lovely room next to the edge of the pool. From here we spent three days visiting all the temples and Angkor Wat. 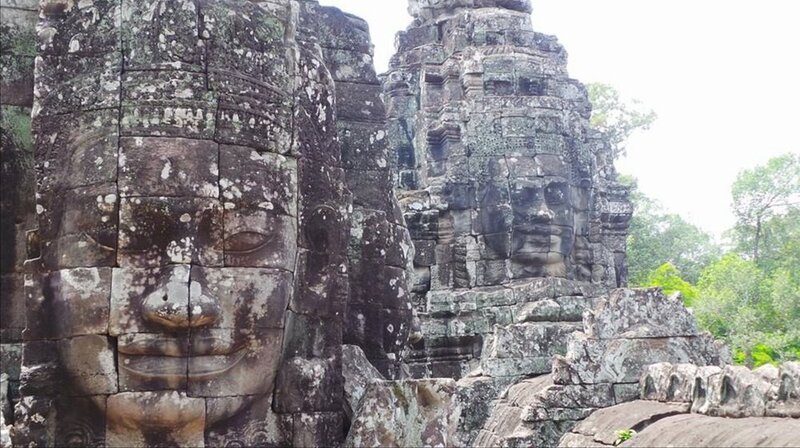 Think my favourite was the pink temple, Banteay Srei and also Bayon which is famous for the faces. Would definitely recommend getting a guide but you can always just get a local guy at the entrance. When we went to see sunrise at the Angkor Wat we got someone at the entrance who had perfect English and was excellent. This way you can choose your guide rather than get stuck with someone you don't like... He knew all the best spots for the best shots. Was almost comical at the Angkor Wat watching the crowd trying to get the sunrise shot. There are so many temples to see and it is hot and tiring, don't underestimate how long it will take you to walk round and you will need water for sure. Siem Reap itself is a party town, it has a road called Pub Street which is self explanatory. However after we had a crazy night out there we decided to try something a bit different and went to the Phare Circus which was amaaaaazing! The performance was really quite moving and you will leave with a tear in your eye. Please note this circus has nothing to do with animals and all to do with human acrobatics! This is a must do, totally recommend. This entire trip was 20 days and we packed a lot in that time. 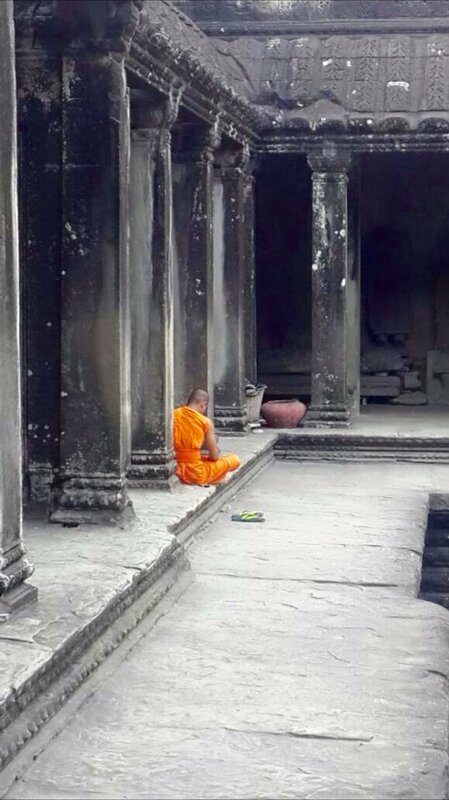 There were times of total exhaustion (Ho Chi Minh) but we included an R&R break which was essential to be able to do Angkor Wat at the end. I recommend absolutely everything we did. Maybe my favourite thing was Angkor Wat and it is definitely a very special travel experience.